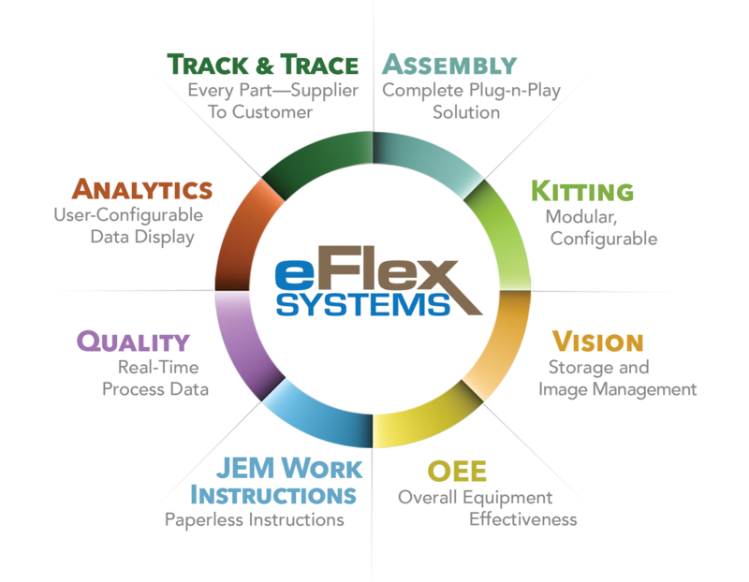 Whether your build process takes days, hours, or seconds – has thousands of parts or product variations, the eFlex platform provides a flexible solution for plant floor control, visibility and error proofing. Easily configure your manufacturing environment, standardize work instructions and process control, while enforcing quality standards. Connect and enable devices and ensure parameters are always met. Collect process data and 100% cycle times down to the task level. Build products right the first time – every time. 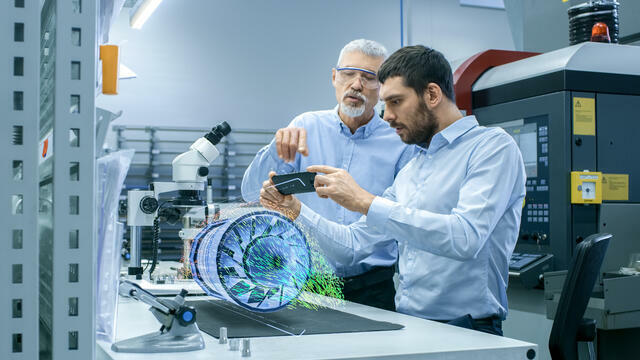 Industry 4.0 is changing manufacturing business models, automating processes, providing open visibility of plant operations with access to valuable, real-time data. eFlex's manufacturing solutions integrate with greenfield and brownfield lines, allowing manufacturers to improve efficiency and productivity with digitization of operations. Run applications locally or in the cloud. You decide what works best for your plant. Both are web-based with direct access to data anywhere, anytime. Scalable, modular solutions for station, plant or enterprise wide needs. Choose the modules you need now and scale out as needed. View on any web-capable device - Chromebook, iPad, etc. Easy configurations, allowing changes to be made in minutes not days. Web-based with ability to make changes off-site if needed. No need for engineers to be inundated with programming. Manufacturing apps, built on one, easy-to-use platform. Simply choose the web-based applications you need now for production and quality management. Add more as you grow or when you need them. 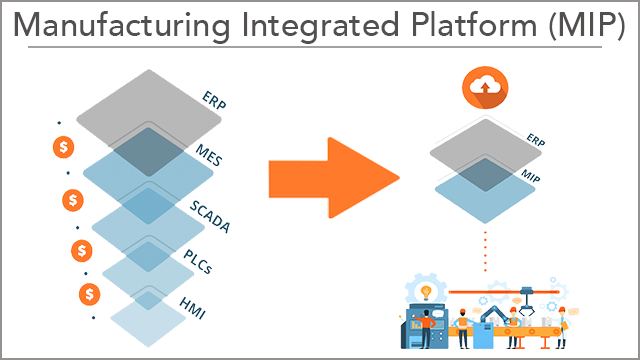 Discover how Manufacturing Integrated Platform’s are reshaping process control and refining automation stacks throughout the factory floor with “The MIP Revolution". Click the link below to learn more about MIP. 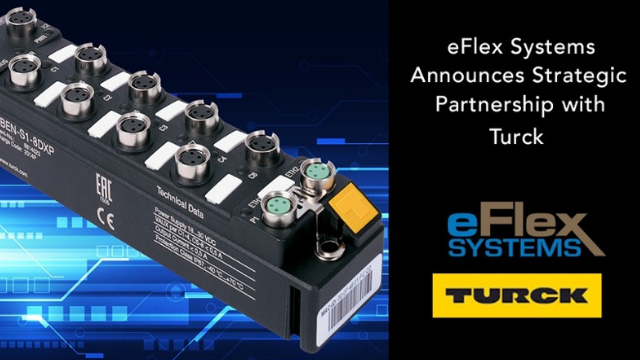 eFlex forms strategic partnership with Turck, a global provider of industrial automation solutions – utilizing Turck I/O technology for plant floor device configuration and communication within their digital manufacturing platform. The New Factory Floor : Understanding the foundational technology reshaping process and control through the Industrial Internet of Things (IIoT). Read the comprehensive breakdown of the modern factory floor on eFlex's Lean Manufacturing Blog. Upcoming projects or digital initiatives? Let us know if we can help or answer any questions.